Grammy-winning Southern-rock phenomenon Zac Brown Band and Californian vocalist Beth Hart are the latest acts to be announced for this year’s BluesFest, which returns to The O2 from October 25th – 28th 2018. Joining Robert Plant, Van Morrison, Creedence Clearwater Revival’s John Fogerty, Steve Miller Band, Robert Cray and Raphael Saadiq on the line-up for the four-day event, Zac Brown Band and Beth Hart will perform in The Arena on Saturday October 27th. 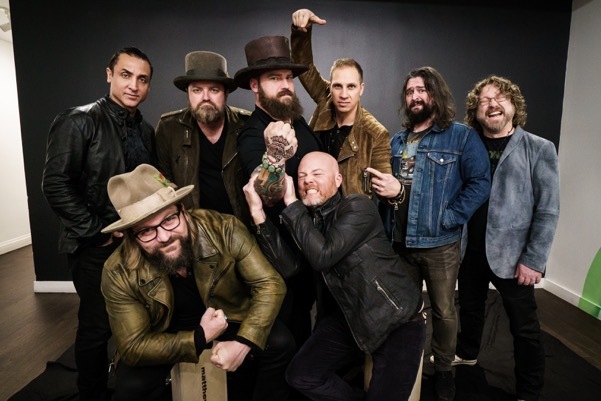 Known for blurring the boundaries between country, blues, reggae and rock, the multi-platinum-selling, Grammy-winning Zac Brown Band are widely regarded as one of the world’s most exciting live acts and played to more than a million fans in 2017. They make their much-anticipated BluesFest debut in October, returning to London following the release of their internationally acclaimed album “Welcome Home”. Hailed by The Guardian as “daring, brooding and angry”, Californian singer Beth Hart, who has collaborated with the likes of Joe Bonamassa, Jeff Beck and Slash, returns to BluesFest following a standout performance in 2014. All customers can get a refund from their point of purchase. Launched in 2011, BluesFest fast became one of Europe’s leading roots music festivals and has since presented concerts from an array of stars from the worlds of blues, jazz, soul, pop and r&b including BB King, Van Morrison, Robert Plant, Bobby Womack, Hall & Oates, Gregory Porter, Elvis Costello, Steely Dan, Dave Matthews Band, Bad Company, The Doobie Brothers, Jeff Beck, Mary J. Blige, Robert Cray, Tedeschi Trucks, Ronnie Wood, Maxwell, Mavis Staples, Chaka Khan, George Benson, Jamie Cullum, Chris Isaak, Tom Jones and Little Steven & The Disciples Of Soul amongst many others. Tickets for Zac Brown Band and Beth Hart start at £45 and go on general sale on Friday June 15th at 9am. The O2 pre-sale begins on Wednesday June 13th at 9am and the Live Nation pre-sale begins at 9am on Thursday June 14th. Tickets are available from www.livenation.co.uk.